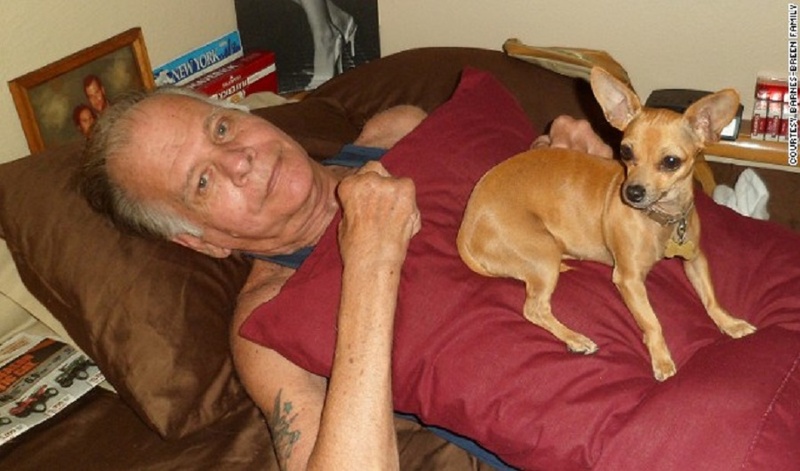 Photo: U.S. Navy vet Thomas Breen died while waiting for his medical appointment at the VA. They spent more time covering up the incident than making certain to give Breen his due. “This one death should outrage the nation and news reporters. But the media gives these stories scant coverage so as not to hurt Obama’s legacy. In fact, they’d blow a gasket if illegal aliens or Muslim refugees were treated so shabbily by the healthcare system,” he said. “Imagine their outrage if illegal immigrants died waiting for medical treatment,” he added. 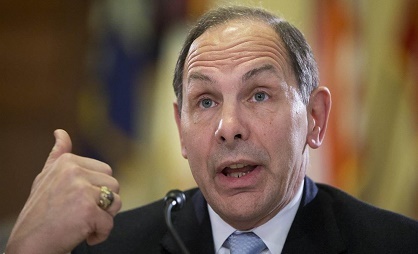 VA Secretary Bob McDonald once compared veterans’ hospital waits with that of visitors to Disneyland. While the claims that President Barack Obama and certain Democrat politicians have a deep-seeded hatred for the U.S. military may be hyperbolic, events that continue to occur at Veterans Administration medical centers show a certain amount of indifference on their part, according to a former U.S. Marine and retired New York police detective Sidney Franes. The military and police decorated Franes points to the latest example of death and corruption within the VA hospital system as evidence of President Obama’s indifference to the suffering of thousands of military veterans who rely on the VA for their healthcare. An Inspector General’s investigative report claims that medical staff members at a Veterans Affairs hospital in Florida allowed the body of a deceased veteran to begin its decomposition process for almost 10-hours and when they discovered the severity of the situation they attempted to to cover it up. The report’s 24-pages alleges that the VA hospice staffers at the Bay Pines VA hospital failed to provide appropriate post-mortem care to the veteran’s body. Basic medical care with a focus on pain and symptom control. Access to a member of your hospice team 24 hours a day, 7 days a week. Medical supplies and equipment as needed. Counseling and social support to help you and your family with psychological, emotional, and spiritual issues. Guidance with the difficult, but normal, issues of life completion and closure. A break (respite care) for caregivers, family, and others who regularly care for you. Volunteer support, such as preparing meals and running errands. Counseling and support for your loved ones after you die. The IG report reveals that hospice staff put the military veteran’s lifeless body in a hallway and left it there for an unspecified time. Staff then put the veteran’s body in the shower room and did not check on the status dead vet for close to 10-hours. That’s when the cover up began: an unidentified staff member then falsified the description of the incident in the patient’s medical records and other hospital documents. The investigative report stated that leaving the dead body hidden and unattended for such a long period of time increased the likelihood the deceased began to decompose. Former military intelligence operative and director of security Theo Poulos agrees with the congressman. “This one death should outrage the nation and news reporters. But the media gives these stories scant coverage so as not to hurt Obama’s legacy. In fact, they’d blow a gasket if illegal aliens or Muslim refugees were treated so shabbily by the healthcare system,” he said. “Imagine their outrage if illegal immigrants died waiting for medical treatment,” he added. President Obama during his so-called “goodbye tour” of the nation, claimed on his watch the VA was successful in correcting many of the problems that allegedly led to deaths and ineffective treatment. The unnamed veteran died in February after spending time in hospice care. The hospital’s administration ordered retraining for staff. “How do you train people to do the right thing? They knew what protocols to follow, but decided to look for shortcuts and covering up,” said Manual Marquez, a former criminal investigator who specialized in malpractice cases that involved medical fraud and corruption. “This case also proves the dangers associated with government providing medical services and healthcare,” he added. 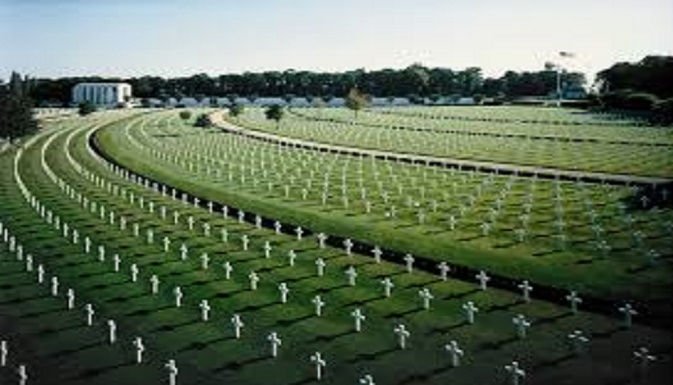 A military cemetary takes better care of veterans than VA hospitals, according to reports.